As a Seventh-Day Adventist, I do not participate in the celebrations of Ash Wednesday, nor do I observe Lent. The Adventist Church, in general, does not observe Lent, though I have not been able to find any official statement addressing the question. What I have always been told, however, is Lent falls into the category of Liturgical Rituals, outside of any scriptural definition or directive to observe. Other festivals/celebrations in this category would be Christmas, and Easter. One particular blog post I read earlier stated the Adventist Church was somewhat hypocritical, since it recognizes Christmas and Easter, but refuses Lent. Well... here's the thing. First of all, the Adventist Church doesn't have a liturgical calendar in the traditional sense of the idea. We don't officially call out Christmas as the time of Christ's birth, or Easter as the time of Christ's death. Why not? Two reasons: one, we have no idea what on what days those two events actually occurred; two, there is no scriptural mandate to observe these days as religious holidays (if there were, we would know the dates to use). That being said, nearly all Adventist do celebrate those holidays in recognition of what they stand for spiritually. Lent, however, is a little different. While there is no scriptural mandate for its observance, it differs from Christmas and Easter in that there are some Old Testament parallels. "What?" I hear you exclaim, "Then Adventist should be all over that, right? I mean, they totally love Old Testament stuff!" You are correct, insightful reader, the Adventist Church does in fact hold the Old Testament near and dear to its heart. Which, ultimately, is Lent's own downfall. The sacrificial ceremonies and festivals of the Old Testament were to remind God's people of the coming savior. They typified Christ's work of Salvation here on earth, and symbolized His sacrifice on our behalf. As such, these sacrifices were no longer needed once Christ fulfilled them -which is why the veil in the temple ripped in two at the moment of His death. Today, there is no need to take on ritualistic personal sacrifice, because that was done by Christ already. In doing it ourselves, we mock the work He did on the cross. This is not to say there is no place for fasting; indeed, there are biblical instructions to do so when supplicating oneself before God. What I'm talking about here with Lent, is the notion of taking the mantle of sacrifice upon your own shoulders in a ritualistic fashion. This is very different from biblical instructions on fasting and prayer as ways to reach spiritual harmony. The latter is self imposed out of a desire to bring oneself closer to God, using instructions He left for us to follow; the former is imposed by the church in an attempt to force some kind of empathy with Christ's work of Salvation, outside of any scriptural instruction to do so. "Hold on," I hear you say, "But the Adventist Church is all about ritualized self sacrifice! You don't drink, you don't smoke, you have all kinds of dietary restrictions... come on, aren't you being a little hypocritical yourself here?" A valid question. I would argue, however, that these all fall under a general umbrella of Life Style Choices, where we, as a denomination, view the human body as a temple of the Holy Spirit. Our bodies are not our own, but a vessel of the Spirit, and as such, we have a responsibility to keep it as healthy as possible. These being Life Style Choices, I do not see them being the same as ritualistic fasting and sacrifice designed to emphasize a single point within a microcosm of the liturgical calendar. But then... that's just me. Since, as I stated before, the Adventist Church has no liturgical calendar, there is only the absence of any formal observance; There is no official condemnation of Lent, merely the oral tradition of why we don't observe it. As such, there have been some Adventist Churches who have started holding Ash Wednesday services, and instructing their congregations to observe the Lent season. I, however, continue to agree with the more traditional Adventist view that Lent is unnecessary as it puts undue emphasis on ritualized personal sacrifice, which devalues the sacrificial work of Christ. A time period many set aside to partake in a display of something, that would probably mean more if it were done any other time if the year. I guess I’m technically a Baptsit now since that’s the church I go to, but I don’t hold any strong connections to any particular denomination. Some years I observe Lent, others I do not. I am a Seventh Day Adventist as well. As for as I can see we should celebrate lent because we fast and pray and lent is also about fasting and prayer. As for the ashes that is not necessary. But for the observance of repentance of sin and for Jesus fasting and praying in the wilderness and being tempted by the devil on which he was betrayed by Judas and denied by Peter on which goon died on the cross for our sin. I believe we should observe all that because on this time of the season we are tempted a whole lot by the devil in more ways than one. We should observe it and let it be a serious cleansing of the soul. 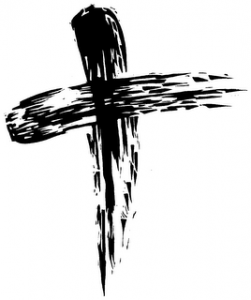 I observe lent because i realize that it is a serious cleansing of the soul. Because temptation comes like while fire. 2) modern churches are potrayed with paintings of apostles and explanation of church which include pics of animals and demons..!!! 3) as already said above weeping in church for Tammuz even masked by the name of Jesus..!! 4) no church seems to follow sun workship right… Don’t be deceived bcoz most of us do “SUN” day workshop…!!!! !